Formula One returned to Italy this weekend to mark the end of the European season. 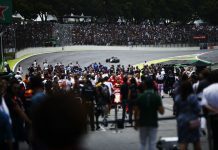 Unfortunately, the race itself was woefully uneventful as Nico(la) Rosberg breezed to his seventh win of the season. Red Bull came into the Italian Grand Prix rather resigned to the fact Mercedes would be light years ahead, and that even Ferrari would likely usurp them thanks to some new engines upgrades. None of that stopped the ‘Smiling Assassin’ from having a blast during the race, though. Ricciardo really seems to be on the crest of a wave right now, indeed Italy marked his sixth top-five finish in a row. With his teammate is under sharp scrutiny for his driving standards, Ricciardo is taking every chance he can get to impress Red Bull’s top brass and prove that he is the man to take them to eventual title number five. Ricciardo started the weekend well by out-qualifying Max Verstappen by just under a tenth of a second. As the season has progressed it seems clear that Verstappen is exactly the team-mate Ricciardo needs, the Dutchman requiring him to always be at the top of his game. 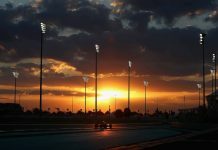 The race start perhaps cast light on the difference between the pair, however, Verstappen bogging down terribly while Ricciardo got a blinder to leap ahead of a slow-starting Lewis Hamilton. As the race, painfully slowly, progressed Verstappen clawed his way back up the order but Ricciardo stole the show as he pulled off an absolutely brilliant passing manoeuvre on the Williams of Valtteri Bottas. Ricciardo slung his Red Bull up the inside of the Williams into the Rettifilo chicane. Confident on the brakes, he held his Red Bull bravely on the outside of Bottas as the pair exited the chicane, before pulling away with superior traction to secure fifth place. It was one of those moves you perhaps only see once or twice in a season. Quiet all afternoon in light of the procession, social media immediately lit up like a Christmas tree with praise for Ricciardo. It was hard but fair racing and well worthy of BadgerGPs TOP DOG award. The Honey Badger now sits on four TOP DOG wins, two clear of his nearest rivals and well on course to be our TOP DOG Champion of 2016! Previous articleJenson Button Isn’t Retiring, Alright? Formula One history buff and quiz master.